The popularity of video has led marketers to start incorporating the visual medium into a variety of other platforms in an effort to determine the most impactful combinations of media. The trend toward these media collaborations has become so prevalent that a new guidebook featuring detailed case studies of multiplatform media buys was recently released by online ad platform, Collective. The helpful handbook described how numerous advertisers have opted to buy different media mixes of TV, mobile, digital, and video using the latest media targeting tactics. The guide highlighted the particular effectiveness of integrating TV with video to maximize sales and boost marketing campaign performance. MediaPost.com offered on why TV and video were deemed a powerful pair. According to the handbook, advertisers that ran the TV-only part of a marketing campaign had a 60 percent increase in consumer purchase deliberation, yet the combination of TV with targeted online buying resulted in a rise of 78 percent consideration. That increase alone was promising, but factoring in the lower cost and greater efficiency of digital media buys saw TV’s efficiency soar two to five times higher. A notable example from the handbook involved a Fortune 500 brand that had captured an extra 1.6 million consumers via digital marketing efforts that were overlooked by the TV buy. 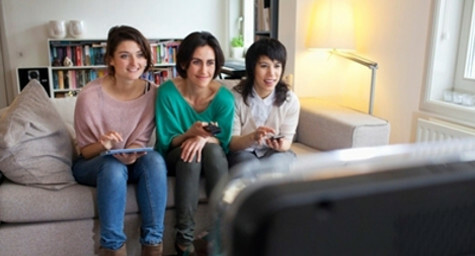 The brand achieved an analysis of its TV schedule coupled with targeting technology that identified online consumers least likely to tune in to the brand’s TV efforts. As a result, it was determined that almost three-quarters of the audience reached online had little or no exposure to the TV portion. This case study demonstrated how the TV-online media combination proved especially effective at helping the brand tap into a much larger audience than using a single medium on its own. This was just one success story profiled in the handbook, but the collection of case studies showed again and again how the mix of TV and digital marketing were a proven pair for performance. To learn how the combination of creative TV and digital marketing can increase the reach of your brand and efficiency of your media buy, contact MDG Advertising. At MDG, our 360° marketing approach uses just the right mix of traditional and online media to reach your marketing goals. While some industries may fare better in print and others online, we strive to create a balanced approach where both traditional and digital marketing efforts support each other and your marketing message is tailored to the medium. To stay on top of the latest trends in TV and digital marketing, contact MDG Advertising.